This is a fair question and one that you hear every now and then, especially from old or scrap car owners. People who have never sold a car before or are not experienced with selling used and junk cars are often more inclined towards getting scammed by junkyards. The problem is legit, as there are a lot of Car Removal Companies that claim to pay top dollar for your vehicle but fail to live up to that claim when you do business with them. 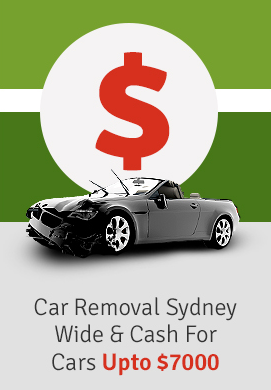 Fortunately, the exact answer to how much does car removal cost in Sydney is, IT’S FREE! With reputable and experienced car removal companies like Metro Car Removal, the process for getting your vehicle removed is entirely free of cost. That’s right! Not only do Car Removal companies remove your car for free, some of them also pay you a fair amount of your vehicle based on the condition of the vehicle. Car Removal companies charge nothing for the removal of your vehicle unless booked for purposes other than removal. Reliable companies live up to their name and claim. Car Removal companies like Metro Car Removal are well known for paying top cash for your used or scrap car. Plus, you don’t have to wait to get paid. The amount is paid at your doorstep, in cash the same day of the removal. The process of removal becomes very easy. The company handles all the hard work from coming to remove your vehicle, towing it back to the compound, handling transfer documentation and delivering your promised amount to your door. You just have to make a call or email them to acquire these services. Car Removal companies have set up recycling yards and the good ones are certified by the government’s environmental agencies. The whole process of recycling your vehicles is eco-friendly and does not damage the environment of Sydney in any way. So to reiterate, the cost of Car Removal is usually NOTHING in Sydney, apart from some exceptions. On the contrary, experienced and reputable companies like Metro Car Removal offer you money based on the condition of your vehicle. Added to that, a lot of other services are also at your disposal with such a company. 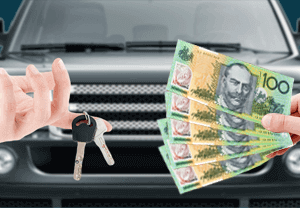 If you are in Sydney and want to sell your car for a good amount of cash while minimizing costs involved in selling a car, contact Metro Car Removal at 0422 600 833 for further information. With a wide experience in the Sydney automobile market and maximum recycling efficiency, we are able to offer better payout than our competitors. Call us now and find out for yourself.